ICE or BEV, same thing at VAG: one product, many badges. Give me no badge brand. What is unattractive about this?? Is it blind day or something? 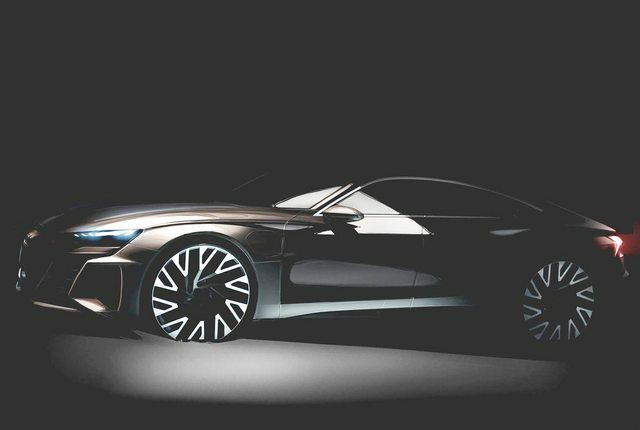 This look like it may be the upcoming A9 that had been reported about in the past. Later reported stated that it would be an all-electric 4-door fastback coupe-type vehicle. This latest follow-up, and the teaser appear to justify it. Whilst I generally like the shape of Audi's large hatchbacks (especially in their respective first) generations, this continues the obvious trend at Audi of just adding details, making existing detailing huge and boxy, and many of the details obviously useless/fake (like massive grilles and vents on an electric car). Whilst detailing can't save a boring or wrongly proportioned car (anything based on the Audi Q7), it certainly can ruin a basically good design (Toyota Avalon, Crown,...). This seems to be an example of the second camp.